year since more than a decade now….  has the shape of a performance shortboard. 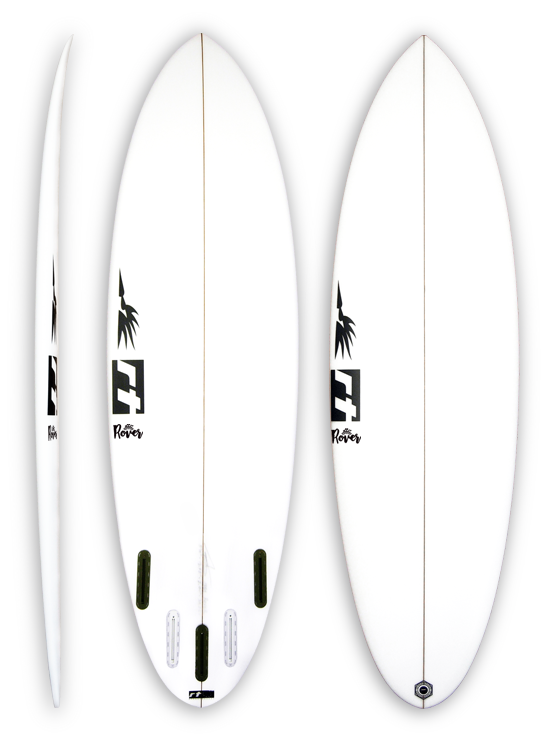 predictable and reliable, yet it can be surfed on the rail as hard as you can. 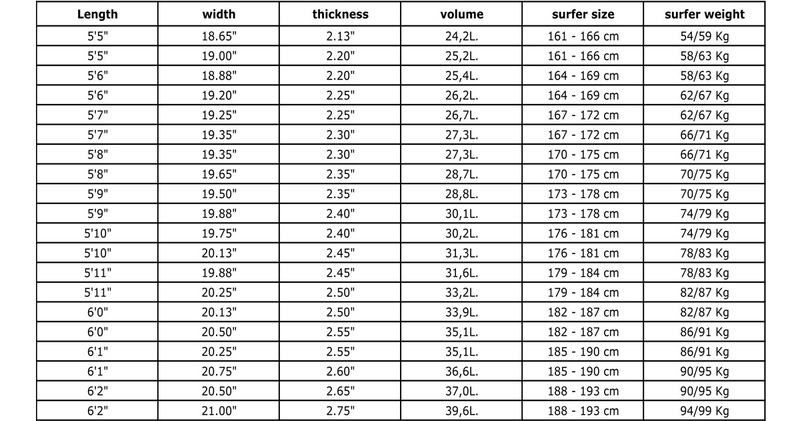 3/4 to 1 inch wider. level on a user friendly, compact and reactive board. Available upon demand with a roundpin tail, a swallow tail or with a squash tail.